During my interview for the summit, I spoke with Katie about running longevity and how my running has changed as I’ve gotten older. We discussed running for fitness versus training to race at a locally competitive level and what younger runners can do to ensure a long running career. I also touched on concerns specific to older females and how running might help or hinder certain age-related conditions. Having just undergone surgery to remove a melanoma from my left cheek two days prior to our interview, I spoke with Katie about skin cancer awareness and what we can do to limit our time in the sun, especially during our longer training runs. Have you been wanting to begin running but not sure where to start? Is this the year you finally sign up for your first race with confidence? Is this the year you get faster as a runner? Is this the year that you really hone in on your nutrition to maximize your performance? Or maybe you’ve recently lost some of that passion for running and could really use some inspiration? If this sounds like you, you’re in the right place! Our masters sessions will unlock secrets, help you grow, and leave you feeling ready to tackle your 2017 running and racing journey. 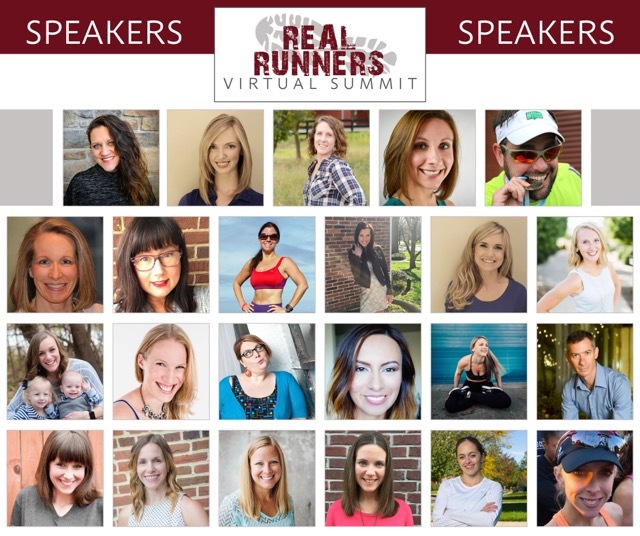 What is the Real Runners Virtual Summit? A place to grow as a runner while receiving expert advice, tips, and inspiration. A place to connect with fellow runners, run coaches, an exercise physiologist, a dietitian, book authors, and more. A place to feel comfortable asking questions to the speakers on their expert topic. We are experts with passion, bringing a community of real runners together for this first virtual summit. How Does the Summit Work? Beginning February 20th, you will receive a daily email for 10 days with links to 2-3 videos/mp4s to view or download. We will take a break over the weekend and enjoy a virtual run together. We will connect in our private Real Runners group with any questions and further discussion about each topic. We would love to have you join us! To register, please click here, but don’t let the early-bird registration countdown clock fool you, you can register today! Have you participated in a running camp, running seminar, or running conference in the past? 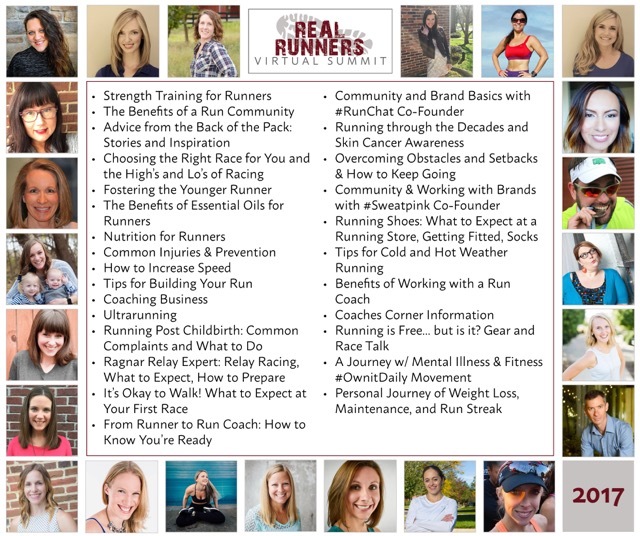 What questions do you have about the Real Runners Virtual Summit? Do you think you’ll sign up? this sounds like it its going to be pretty cool!